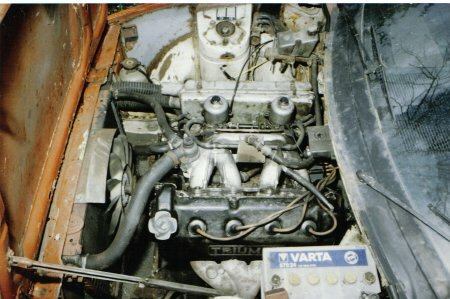 Even as early as January of 1975, when the TR7 was first launched in the U.S., the 16 valve engine (called a 4 valve engine by BL) Sprint version was expected to follow fairly soon after. This was hardly surprising, since the TR7 already used the Dolomite sprint bottom end mated to the 1850 head. Yet the TR7 Sprint was never launched on either the European or U.S. market. 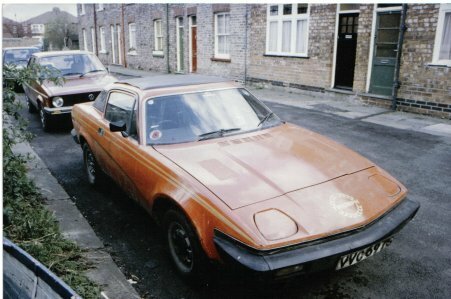 small number of pre-production TR7 Sprints were in fact manufactured between February and October 1977, but full production was apparently killed off by the strike at Speke during '77 and '78. Estimates of the size of this run vary. 25 is the most commonly quoted figure, but accordingly to the Archivist at the British Motor Industry Heritage Trust, the total number of cars manufacture was approximately 60 all withchassis numbers prefixed with letters ACH and engine numbers prefixed with CH and suffixed with HE. 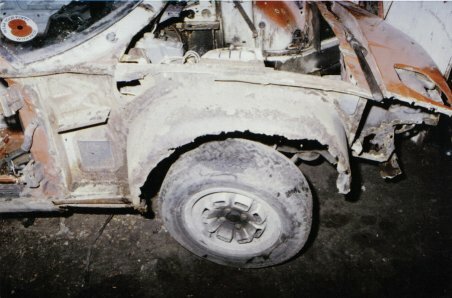 There appear to have been two main batches of cars, one of 25 and one of approxiately 35 with one or two cars manufactured outside these batches. These cars were all built using the TR7/8 bodies of the day 9actually the '78 model) and were Fixed Head Cars with the interior lights on the doors. The cars were fitted with the same brakes as the TR8 being produced at the time which used larger pads than the TR7 ones, but are still only 2 pot calipers. Of the first batch, the majority seem to have been Left Hand Drive cars exported to Europe and perhaps some went to the U.S., though since they did not have the emission control systems this would seem unlikely. The first 4 cars were apparently not properly documented and so details of these are difficult to obtain. Peter Sheppard now owns ACH 1F which presumably was the first of these cars and this is a RHD car. Iam not sure of the exact details of trim and body of this first batch, but understand that the second batch were 'home market' specification and were, in terms of body, the same as the early RHD TR8's. What happened to the next 9 or 10 cars from the second batch is something of a mystery. The whereabouts of none of these cars are known within the TR Drivers Club (or another club with a similar name), while about 12 of the first 25 of this batch, 1 of the first 4 of the batch, and 1 of the 21 LHD cars from the first batch have been traced. It may be that these cars were LHD cars and thus were also sold abroad. There is some confusion over the TR7 rally cars. An article in Motor Sport in June of 1976, stated that the rally cars had been homologated with the 16 valve engine. According to the RAC the TR7 Sprint with the 16 valve engine was not homologated until February of 1978 and then only for group 4, though it seem clear that the rally cars were using the 16 valve engine well before this date. 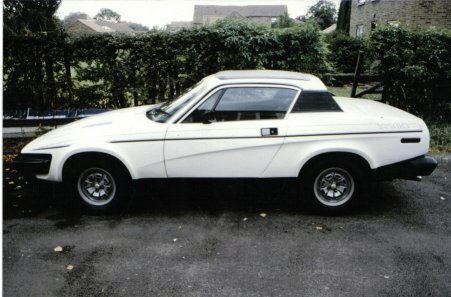 The TR7 having been homologated in 1975, under homologation number 3071. Since only about 60 of the 16 valve production cars were produced the RAC must have permitted homologation 'on trust' or 'intent to manufacture, or at least claiming the intent. Pictures included of Graham Fountain Sprint VVC 697S Before, During and after restoration work. Email me on james.r.johnson@btinternet.com .